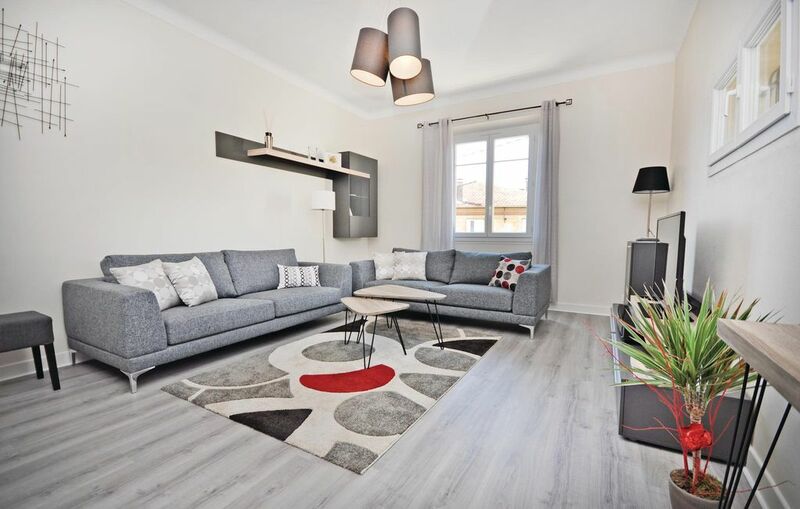 This stylish, two bedroom holiday apartment is an ideal base from which to discover Cannes and its long, sandy beaches and iconic Boulevard de la Croisette. It is situated on the outskirts of the glamorous town, roughly 2.7km away (or a ten minute drive) and is approximately 30km from Nice. The apartment includes two private parking spaces, located in front of the house, and benefits from access to the swimming pool from 9am-6pm Monday to Friday and upon request at the weekend (with the owner). A barbecue and/or a cot and high chair can be rented upon request. Magnifique apparemment lumineux et superbe emplacement. Liebevolle, bis ins Detail eingerichtete Ferienwohnung mit Stil und Komfort. In ruhiger Lage und das Stadtzentrum ( Strand ) gut zu Fuß erreichbar. Sehr zu empfehlen.